A fun game and educational too. Makes a quirky wall art feature. 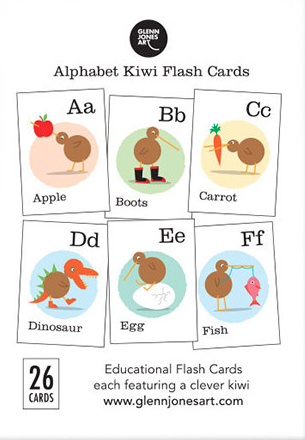 Each card has a clever Kiwi with an associated word. Size: 105mm x 140mm boxed. Made in NZ. 26 Cardboard cards 26 in the set.